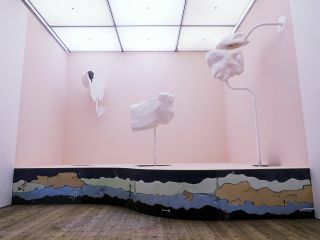 Two of the central drivers behind Virginia Overton’s work are at play in her solo show at White Cube. 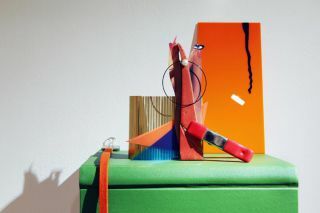 Firstly, Overton engages with the exhibition space through the works themselves: their material construction and their placement in the space is a device to reveal the architecture and the specific elements each space is made up of. Secondly, Overton questions the iconography of the America in which she grew up (she has lived and worked in New York for many years but was born and raised in Tennessee), by utilising materials and signifiers that have been familiar throughout her life. These are used and at times subverted, to highlight a shift in perspective, considering how buildings, design and objects shape our cultural identities and the ways in which we view the world. In the 9x9x9 space Overton has revisited the iconic American pick-up truck. She has used the pick-up truck numerous times before: filling its loading bed with bricks or covering it with tarpaulin, for example. This time, the vehicle has been taken apart and put back together as compactly as possible – not as a vehicle but as an assemblage of parts that now appears as tall as it was once long. This highlights the verticality of the space. The pick-up truck is transformed and rendered unusable but it remains recognisable. It sits on a pedestal inviting us to look at both it and the space in a different way – in a reconfiguration of cultural symbolism. In the North Galleries are a series of sculptures, all newly produced, made from marble and mirrored glass taken from a library in Columbus, Ohio. Overton has long favoured using materials traditionally associated with buildings, especially if they are found discarded. 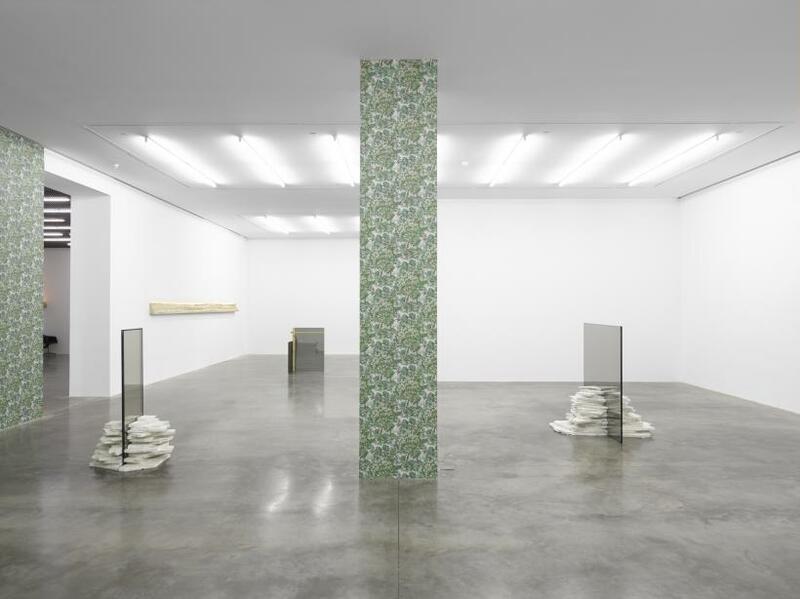 Here, pieces of marble are stacked on top of each other on either side of a piece of mirrored glass, in such a way that the glass is wedged upright. The result is seductive – a quality often associated with these materials. The glass is mirrored and transparent. 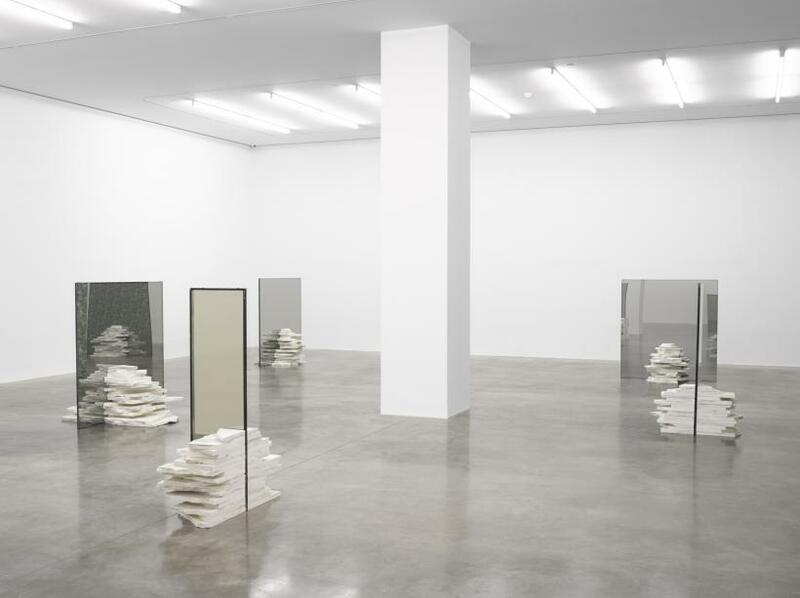 Viewers can see themselves and the space, and the space behind the mirrored glass is also visible. A visual collapse occurs that makes the viewer hyper-aware of the space and their body within it. This prompts the viewer to consider the work as an invitation to a deeper inquiry about seeing and being seen. These sculptures are accompanied by domestic wallpaper that covers select walls and columns within the gallery. The vintage botanical patterns contained come from Overton’s own home environment and in the next room over, Overton has installed a working wood-burning stove. 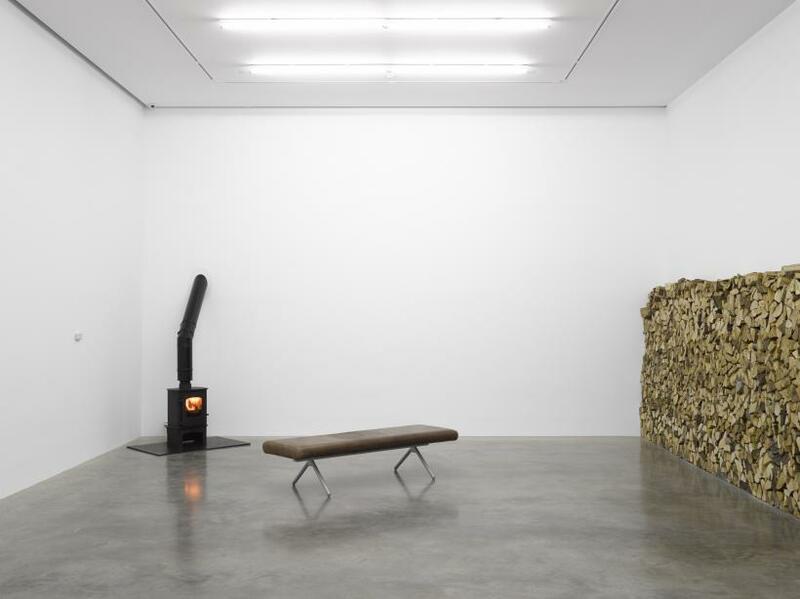 There is an invitation to sit in front of the fire offered by a comfortable bench. 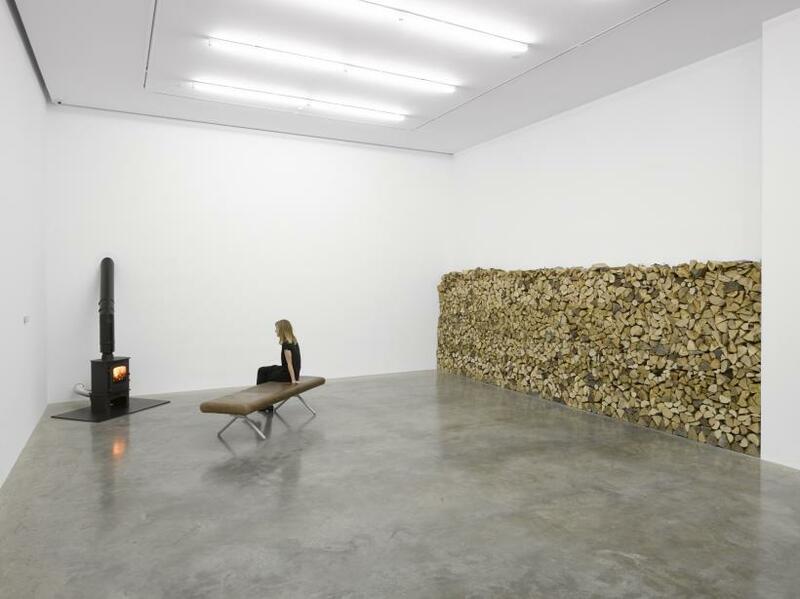 A huge pile of chopped wood is stacked against the wall to keep the fire fuelled for the duration of the show. 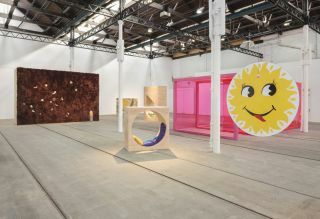 This warm installation provides a particularly welcoming contrast with the stark, white exhibition space in which it is installed. Subtle? No. But curiously effective and inviting? Absolutely yes.